You met Jacqueline and Ann in our previous post. 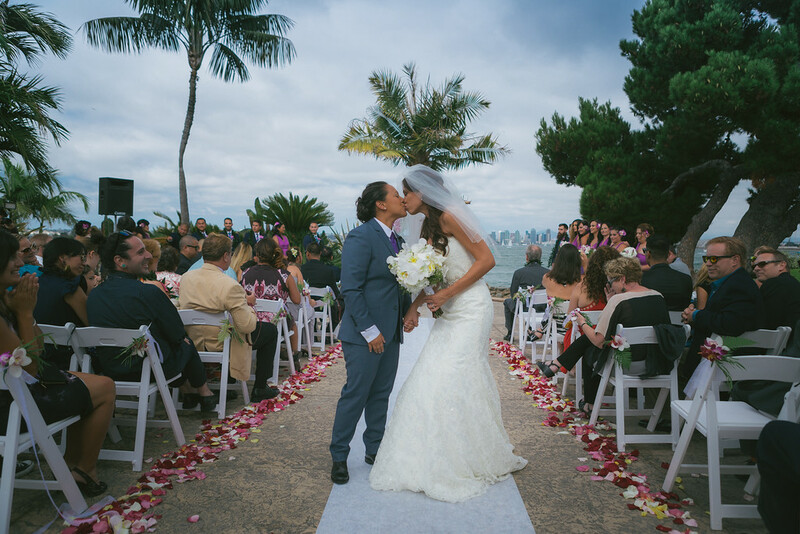 This amazing couple called us for help planning their tropical San Diego wedding from Los Angeles. 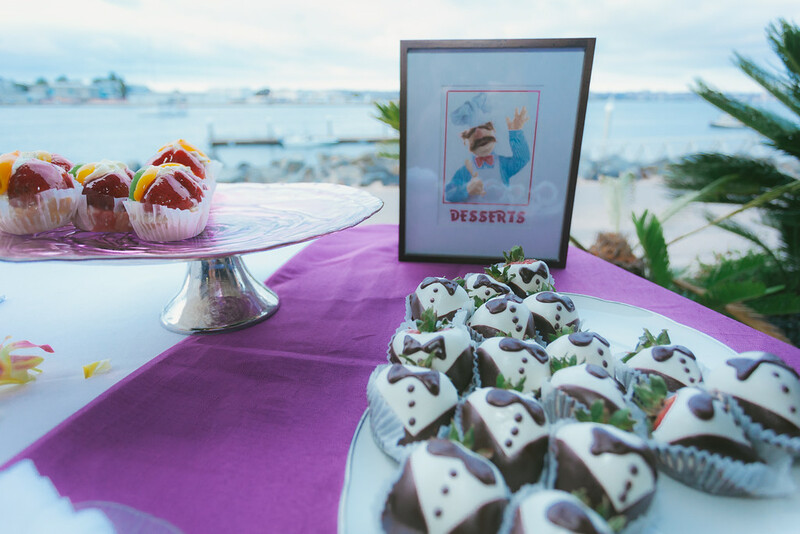 They wanted to incorporate everything they love into their special day – so we found a way to include their fur babies as well as Muppets. 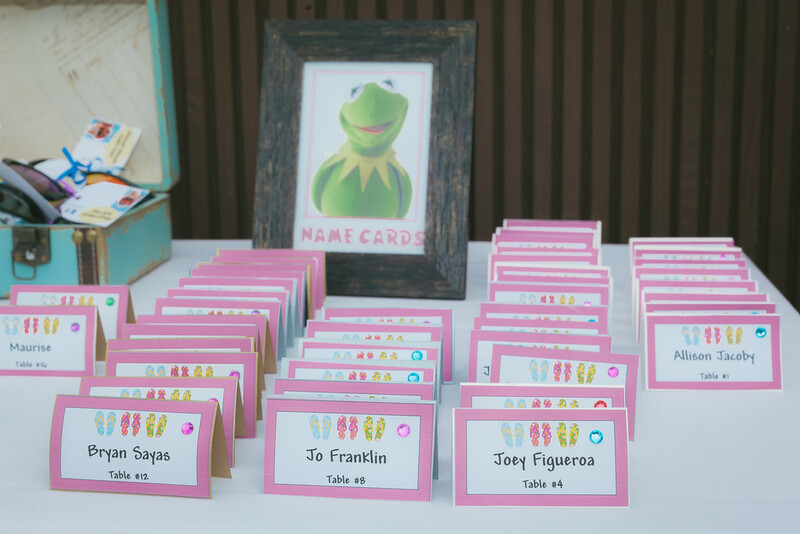 The result was a playful wedding filled with personality and lots of joy! 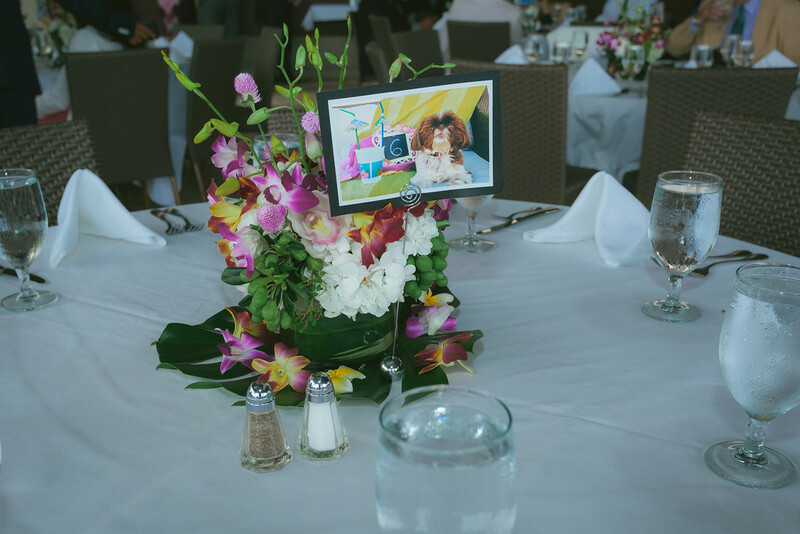 The flowers by Flowers of Point Loma established the purple and white tropical color theme. 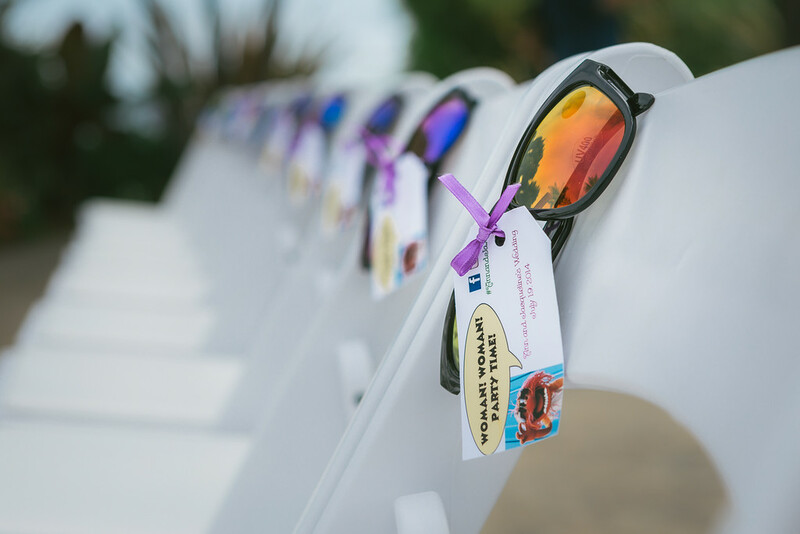 Every guest received a pair of sunglasses to wear during the ceremony. The favor tag featured the Muppet drummer, Animal, and announced to the guests that this would be a party like no other. Hawaiian music by Desi Relator set the mood for the ceremony. The reception featured more of the gorgeous tropical florals and purple accents. Of course, the Muppets made several appearances. 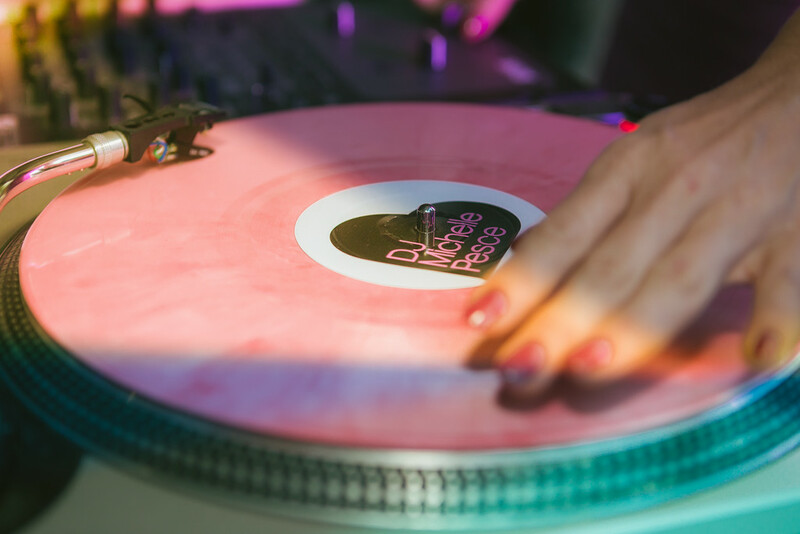 After dinner, the guests danced for hours to music played by Hollywood’s go-to DJ, Michelle Pesce. Congratulations ladies! I wish you a lifetime of happiness! 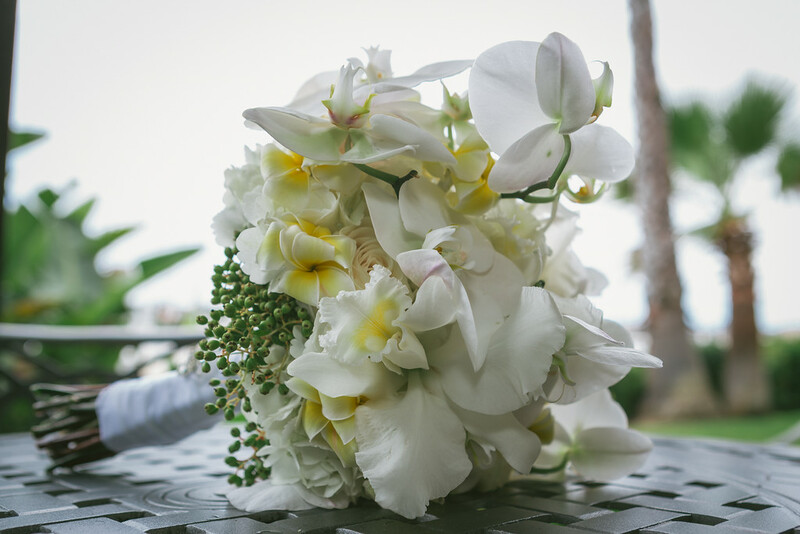 Stephanie Rose Events is one of San Diego’s most creative wedding planning companies. 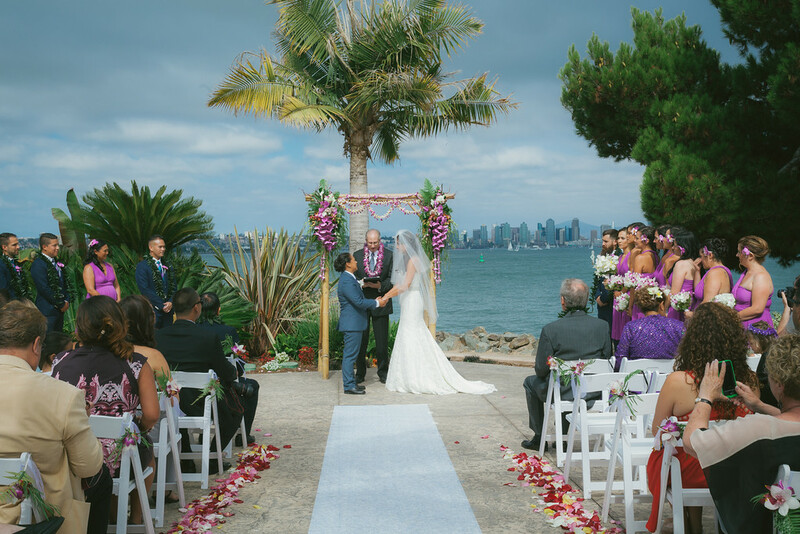 With experience planning weddings in San Diego’s best wedding venues, including Coronado, La Costa and Del Mar, your wedding will be exactly as you envision with every detail executed perfectly. We work with exclusive vendors to create a guest experience that is unique to you. Do you want to stress over the details, or be a Stephanie Rose Events bride and be a guest at your own wedding? Schedule your free wedding planning consultation here. We can’t wait to meet you!